One of the prominent manufacturers and exporters of a designer collection of Women's Sweater, we manufacture products using superior quality. To maintain the top quality, we take special care right from procuring the raw materials to the processing stage. 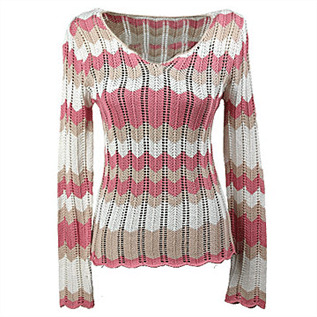 These Sweater are highly known for their smooth finish, sizes, variety of colors and comfort. Moreover, they are available at market leading prices.